Our S2000 twin pump assembly is constructed from a billet aluminum top hat and fuel pump mount with a stainless steel main bracket and hardware. It is ideal for twin or single pump use and intended for popular in-tank pumps of ~39mm diameter. We offer it with optional PTFE fuel pump setup kits and the fuel pumps are optional. 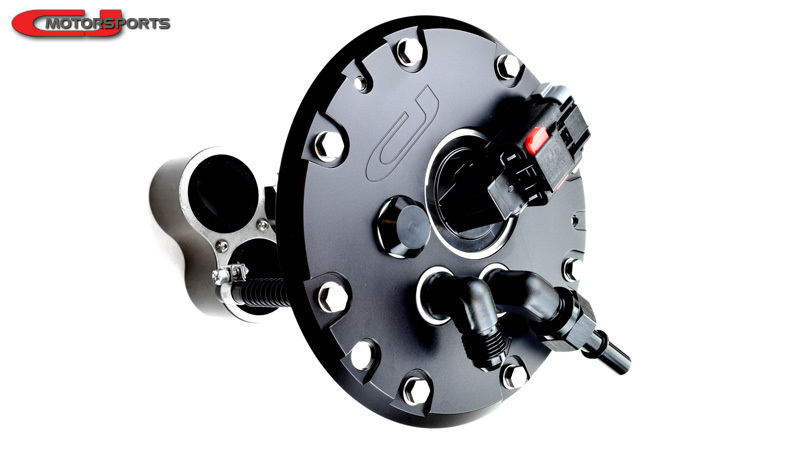 We have integrated our 6-position 10-14 gauge electrical bulkhead (and connectors) to allow you to safely and professionally wire your pumps and original fuel level sensor. This connector is OEM engineered and manufactured specifically for fuel pump applications and it will not leak or seep fuel. It is sealed to the billet hat with a Viton o-ring. Crimp terminals are included for assembling in-tank and external connectors. The fuel pumps are firmly suspended into our fuel pump mount with a special purpose foam sleeve to reduce pump noise and vibration. The top hat is machined with triple 6AN bulkhead ports. If an optional single pump setup kit is ordered, a plug for the unused port is included. This assembly will support the popular Walbro 450 fuel pump, but only 1 at a time. In twin pump configuration, a pair of Walbro 450s side-by-side will not fit through the fuel tank opening. However, a 340/450 combination can be employed for maximum output. Is it E85 compatible? Constructed of premium materials through-out, it is E85 ready. Compatibility and Fitment Information: This product requires a fuel return system, an inline fuel filter, and a fuel pressure regulator. Your original fuel level sensor must be re-used and moved over to this product. This will require cutting the level sensor wires inside your original fuel pump module. Includes stainless hardware for mounting to fuel tank. Reuses original Honda fuel tank gasket. Fuel safe electrical bulkhead with internal and external disconnects that support 14-10AWG wiring. Includes 15 crimp terminals (6 internal, 6 external, 3 spares). Mount for OEM level sensor. Pump Setup Kit: These convenient setup kits provide you custom 6AN bulkhead fittings with PTFE hose barbs, convoluted PTFE in-tank fuel lines, aluminum seal washers, bulkhead nuts, and the appropriate hose clamps. Single Pump, 5/16: Use for single pump setups. This size fits nearly all popular pumps other than the Walbro 450. Single Pump, 3/8: Use for a single Walbro 450 setup. 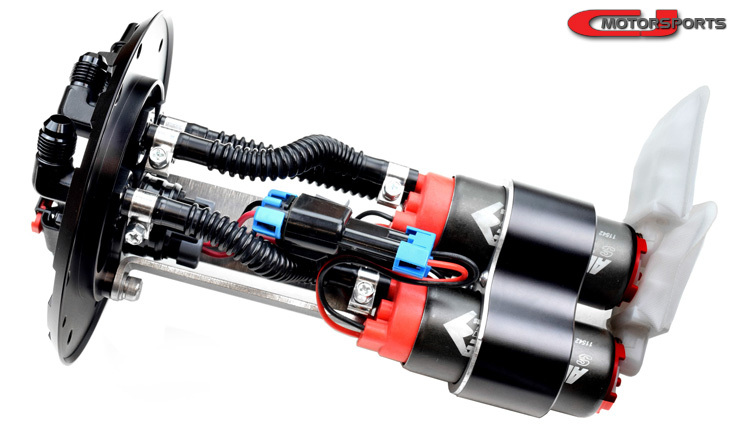 Twin Pump, 5/16: Perfect for twin Aeromotive 340, Walbro 255, DW pumps, AEM pumps, etc. Twin Pump, 5/16 & 3/8: When twin 340 isn't enough, use a Walbro 450 in one of the fuel pump positions. Pumps & Pigtails: Optionally add fuel pumps to your order. Pumps purchased with our S2000 twin pump will include fuel pump strainers and pigtails with terminals pre-crimped for the in-tank connector. 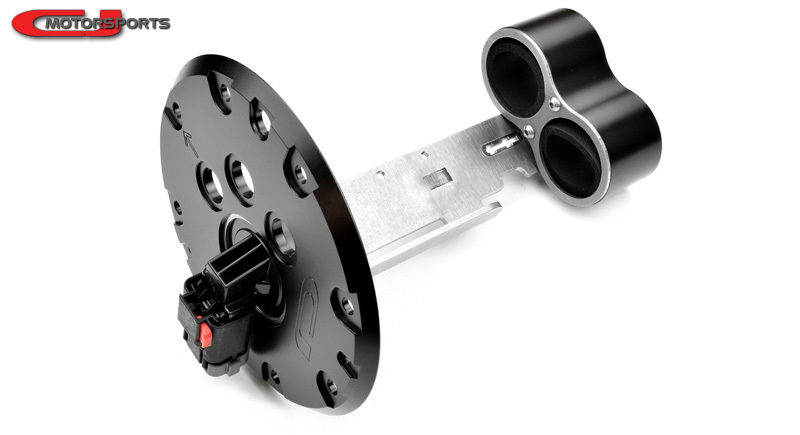 Feed as Return Adapter: Add a CJM adapter fitting that allows you to connect the original fuel feed line to the return bulkhead fitting. There is no need to remove the factory feed pipe, simply re-purpose it as your return line! (M14 Inverted Flare fitting required for engine bay end of factory feed pipe).